eg.  Aldo cucina in cucina. Fast forward 12 months: my tall, dark and handsome Italo-Croatian boyfriend and I were moving into our first place together. Who knew that he was only a few blocks away in Prospect where I had been living? A funny thing about this story is that my boyfriend had actually been to see the same clairvoyant as me around the same time. She told him that he was going to meet someone soon, too: a school teacher who loved to cook, she said “I can smell the food! Oh, the dinner parties you will throw together!” I guess she was talking about me? A school teacher who loves to cook…? Sounds pretty accurate! 11 years later, here we are, married, in our home in the quaint picturesque Adelaide Hills where we live with our two labradors, Fergus and Nelson, who share our love for food. I’m still teaching, we are still hosting dinner parties, and I still love to cook! We like to eat out and drink good wine, so it’s a good thing that we live in a wine region and only an hour drive each way to the Barossa Valley and McLaren Vale. Sharing food and wine together or with friends must be our favourite thing to do. Nelson (left) and Fergus (right) in party mode.